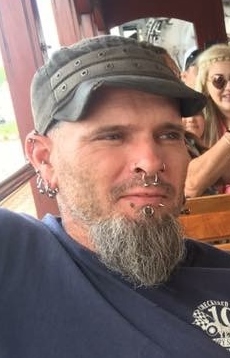 Obituary for Frederick R. "Fred" Rutters, Jr. | Feiser Funeral Home, Inc.
Frederick R. "Fred" Rutters, Jr.
Frederick R. “Fred” Rutters, Jr, 44, passed away Monday, January 21, 2019 at his residence. Fred was born June 10, 1974, in Hanover, the son of Frederick R. and Janet L. (Hartlaub) Rutters, II of East Berlin. Fred was a 1992 graduate of Bermudian Springs High School. He was loved by many and was a great carpenter. In addition to his parents, Fred is survived by a son, Kiel M. Rutters of Wellsville, a sister, Roberta L. Vankersen of East Berlin, and two nephews, Patrick Vankersen and Nicholas Vankersen of East Berlin. A celebration of Fred’s life will be held on Saturday, February 2, 2019 at 2 PM, at the Eastern Museum of Motor Racing, 100 Baltimore Rd, York Springs. Feiser Funeral Home, Inc, 306 Harrisburg St, East Berlin, is in charge of arrangements. Memories may be shared at www.feiserfuneralhome.com.